It was, of course, my own fault entirely for picking up the book in the library. In reading Helena Kelly’s Jane Austen: The Secret Radical, I have now forever changed my view of her novels. They may look romantic and flimsy but underneath the curtseying and good manners, there are some real revelations. I had known for a long time that Mansfield Park had one foot in the slavery question, as it is quite apparent that Sir Thomas Bertram, with his estate in Antigua, has made money probably from sugarcane and the slaves that worked the plantation for him. 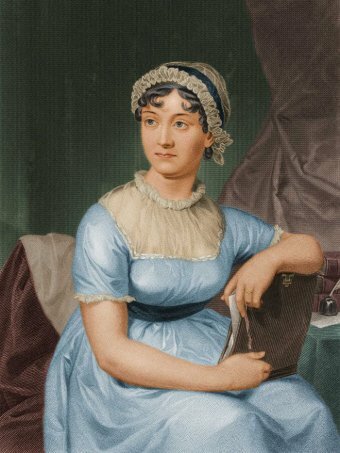 However, I hadn’t realised the feminist undertones of many of Austen’s novels (which I shall very briefly explore later, because I want you to go and read this book – and then read all of her novels again) and I now admire Austen’s skills as a writer much more than I did before. I must say at the outset, though, that it is very important to read her books with this in mind, rather than simply watch an adaptation, good as it may be; every scriptwriter makes changes to the original text to suit running time, budget restrictions or whatever message the director wants to put forward. So please, go back to the novels and start from the beginning. Northanger Abbey, possibly Jane’s first novel, was never intended for publication and as a result it wasn’t published until her death. It has made dating it a little problematic, but I was surprised to learn that Gothic novels didn’t really have very much to do with the plot. They were, however, a very clever disguise to explore infant and maternal mortality in childbirth – and Jane’s method would have been seen through by the majority of her contemporary (female) readers. I wasn’t convinced by the argument at first, I admit, but I went back to the novel and there it was – clear as day. After that, I stopped arguing and decided to learn. Sense and Sensibility deals with the unfairness of primogeniture, but also raises questions about how trustworthy the male characters in the book are – they certainly don’t seem to have the best interests of the female characters to heart. Pride and Prejudice is a class struggle, but also mentions in passing some of the less romantic aspects of living in a garrison town at a time of unrest and upheaval. As I’ve already said, Mansfield Park has undertones of slavery, while Emma deals with enclosures and the food shortages it caused, while Persuasion explores the growing split between science and religion just before Charles Darwin published The Origin of Species and caused absolute mayhem. I was quite swept away by this book. If you like Jane Austen’s novels you really must read it, Ms Kelly adds so much depth and information to the novels which, quite honestly, I hadn’t realised was there. It did encourage me to go back to the original texts, which is never a bad thing, and I can’t recommend it enough. It’s a fantastic read.